Large evergreen shrub or small tree with lance-shaped dark green leaves. Dense trusses of dark red flowers in early spring. 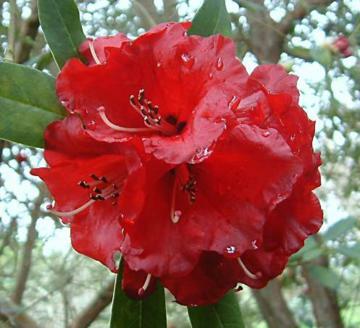 Hybrid of Rhododendron arboreum x Rhododendron thompsonii, raised at Caerhays Castle, Cornwall.